In a recent case in Western Australia the beneficiaries of a will, drafted by the deceased using a will kit, were required to go to court for directions because they did not understand what the deceased had written. This caused a lot of expense for the estate, money that would have benefited the family as the deceased intended. Many people are tempted by advertising into using a will kit in the belief it is legal and cheap much cheaper than seeing a lawyer. It is correct that will kits are professionally drawn and legally correct in the way they are set out. However the kit requires the purchaser to complete the body of the document and this is where the problems occur. These days many people do not have experience of writing long letters to family members or friends. 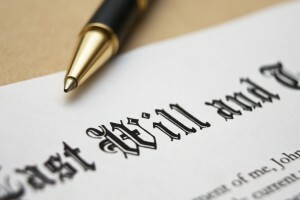 A will is a long letter expressing your intentions to your executor and to the world at large because there are people inside and outside the family who want to know who gets what. If you are lucky there will be a length of time between the writing of the will and your death (but you should be reviewing your will every 3-5 years). With that passing of time what was clear at the time of writing may become unclear when it is read sometimes years later. If the wording causes confusion as to who is to benefit and by how much then the will has to be taken to court and determined by a third party being the judge who has no knowledge of the family or the deceased. A lawyer experienced in will drafting knows how to express your intentions so they are clear to family members and people outside the family such as lawyers or the court. The time and expense of seeing a lawyer is not large in comparison to the size of many estates especially when most homes are worth 1 million dollars and isn’t it better to have the peace of mind that it has been properly done. If you are concerned about family members in dispute, going through divorce or suffering an addiction a lawyer can provide advice on how these issues can be dealt with in your will so your estate is not wasted but is of benefit to those who need it most.